If, like many of us, you have been anxiously waiting for more info on CD Projekt RED's latest iteration of the Witcher series, you're in luck. Now uploaded to the The Witcher YouTube channel, you can watch 37 minutes of uninterrupted gameplay from Wild Hunt (video below). Featuring bits of developer commentary courtesy of a senior level designer, the footage comes directly from The Witcher 3's Gamescom 2014 presentation. After a quick horse ride through the games biggest city, Novigrad, we see Geralt head out on a quest through the war ravaged and swampy No Man's Land. We also get to see more footage of the game's updated combat, various enemies, the Ladies of the Wood, and even a number of story based cut scenes. For anyone who has been closely following the game thus far, some of the footage retraces moments in the game we have already seen, like the Godling Johnny, but there is some new stuff and it is nice to see a full 37 minutes or so of straight gameplay. Anyone looking for a completely fresh run through of the game when it is expected to release in early 2015, may want to avoid this large slice of the experience. 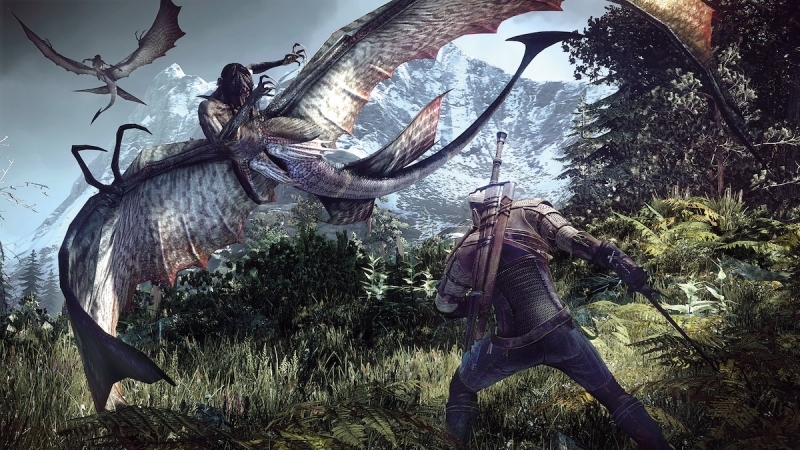 The Witcher 3: Wild Hunt is scheduled to release on February 24, 2015 on PC, PS4, and Xbox One.